Do breakfast cereals contain endocrine disruptors? The worrying results of EDC-Free Europe member Générations Futures EXPPERT survey 7 on a breakfast food, muesli, show the ubiquity of cocktails of hormone disrupting chemicals, also known as endocrine disrupting chemicals (EDCs) in the everyday environment. The findings highlight the need for the EU Commission to revise its recently proposed criteria to identify EDCs so that they become effective in protecting health. The EXPPERT 7 report addresses exposure to EDCs in food eaten at breakfast, a meal considered essential. Food is one of the most important routes of exposure for anyone who is not regularly using pesticides. EDC pesticides. EDCs are natural or artificial substances that are foreign to the human body. 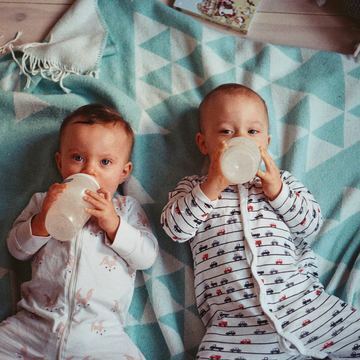 Exposure to these chemicals can interfere with the endocrine system and induce many adverse effects on an individual or on a person’s children or grandchildren. Many pesticides or biocides are either proven or strongly suspected to be EDCs. Act now. To demonstrate the urgency of preventive action in the field of endocrine disruption, Générations Futures has produced a series of reports based on surveys and research analyses showing the omnipresence of many endocrine disruptors in our environment, which results in significant human exposure (these are the EXPPERT reports). A targeted report. The 7th Exppert Report looks at one of the most important ways people who are not pesticide users get exposed: through food. Breakfast should meet a quarter of the body’s daily energy needs. This meal should include cereals, mixtures of which can be found in muesli. Générations Futures therefore focused on this popular consumer product – buying and analysing 15 packets of non-organic and five packets of organic cereal or muesli with fruit (or similar additions). Here are the final results! 100 percent of samples from the 15 non-organic products contained pesticide residues, including traces of suspected endocrine disrupting substances. None of the samples from the five organic packets contained pesticide residues. "Each new report by our association has demonstrated the urgency to act. These findings again reveal population exposure to too many pesticide residues that are suspected of being endocrine disruptors, which can act at very low doses," says Francois Veillerette, spokesperson for Générations Futures. "In June, the EU Commission announced its proposed criteria for determining EDCs but this definition is far from what is needed to protect the population’s health. The ubiquity of cocktails of EDCs in the environment is confirmed by this report. The findings must be taken into account by the EU Commission, which should revise its criteria to make them truly protective," he concludes.